We spent the majority of the morning taking care of final preparations to cross into Mexico tomorrow. We shipped a few more items that we though may attract the unnecessary attention of Mexican military and got a small amount of cash in small denominations for food and gas. After we exited the Big Ben National Park, we rode approximately 70 miles to Presidio. 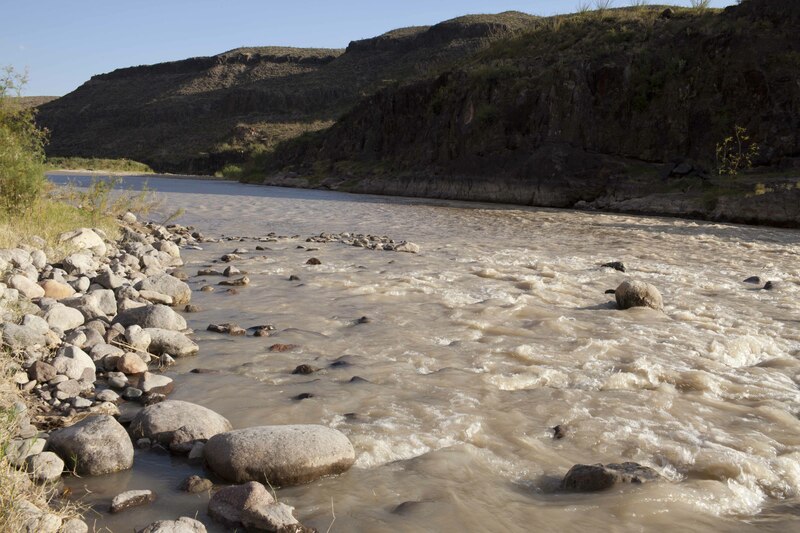 There was a clear change in the landscape and were riding along the Rio Grande river that separates Mexico from the United States. We stopped off the road to take pictures and videos while standing 100 feet (30 meters) away from the Mexican border. On the way, we saw many border patrol cars camouflaged in the bushes. The road was very windy with many hills and we enjoyed our ride. We stopped at Riata Inn Hotel in Presidio for the night. The owners were very nice and the accommodations were clean. For the rest of the evening, we planned our trip for tomorrow and booked the hotel in Creel, Mexico where we plan to spend two days touring the Copper Canyon (approximately 320 miles from Presidio). We also went through all the documentation we may need at the border and the military check points. 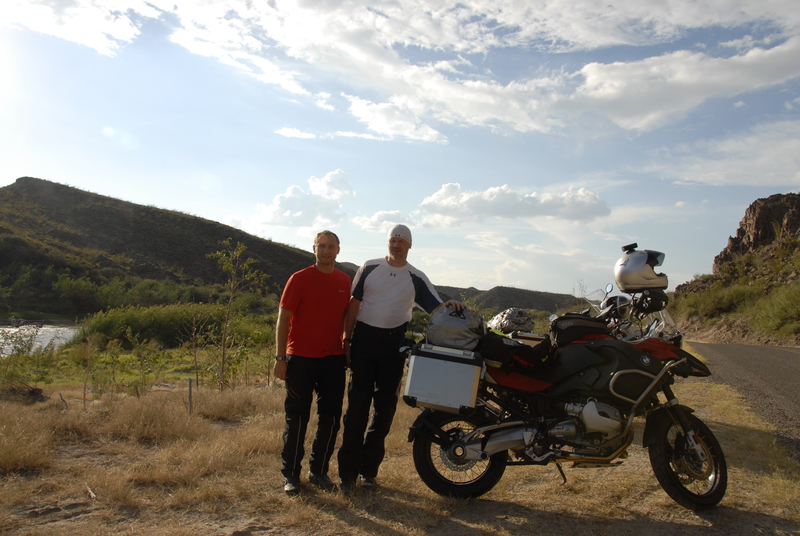 Gintaras and I are a bit concerned about the situation in Chihuahua, which is on the way to Creel, but we plan to ride through it hoping there will be no drug-lord shoot-outs so we are not caught in the cross fire.